Clutch bags are one of the latest fashion trends. According to most fashionistas, a nice clutch bag can easily enhance an outfit. This explains the popularity of these stunning bags that are now available all over, they come as regular and designer wears. This fancy bag is taking the world by storm, as it is loved by fashion conscious woman who want to look even more stylish. Sure, they may not be the most practical bags out there, as they are smaller in size and need to be constantly held. 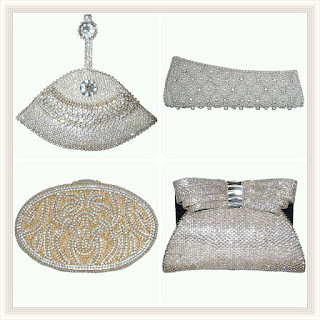 But they are one of the most chic bags that go with all kinds of outfits. And, as they are available in a number of styles and sizes, there are just a lot of options to choose from. Going through an endless variety of colors, sizes and shapes for your clutch bag is an exciting venture. Shopping online can offer the largest selection of clutch bags to choose from. You can find designer names as well as cheaper versions of clutch bags online. There are certain rules to follow if you are wearing clutch bags. There are specific shapes, sizes and styles to go for, when you use a clutch. However, there is always room for experimentation, as that is what ensures that you can find the right style, which suits your personality.